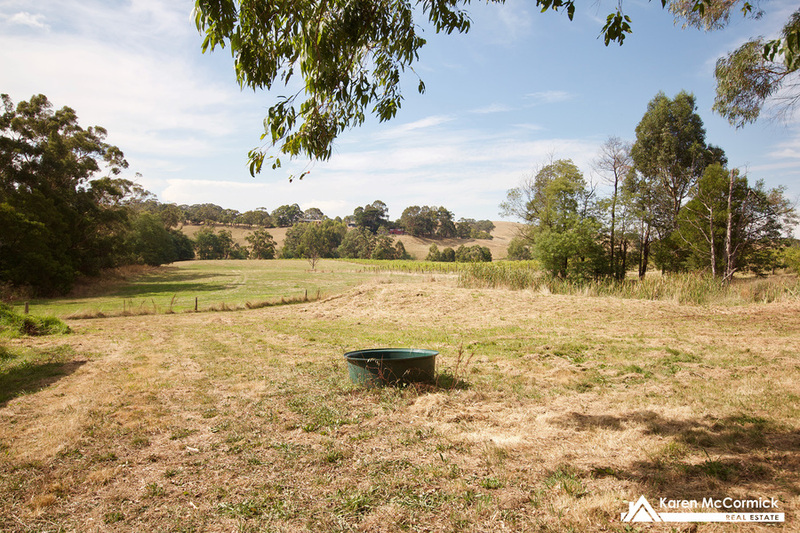 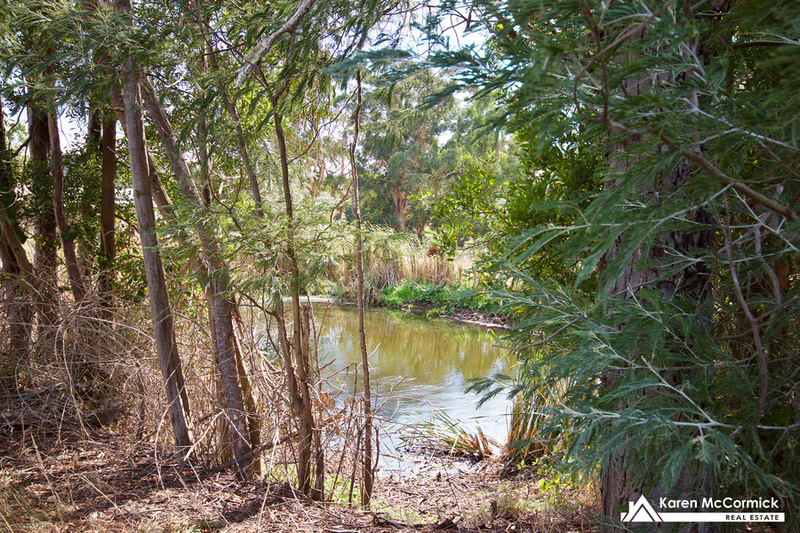 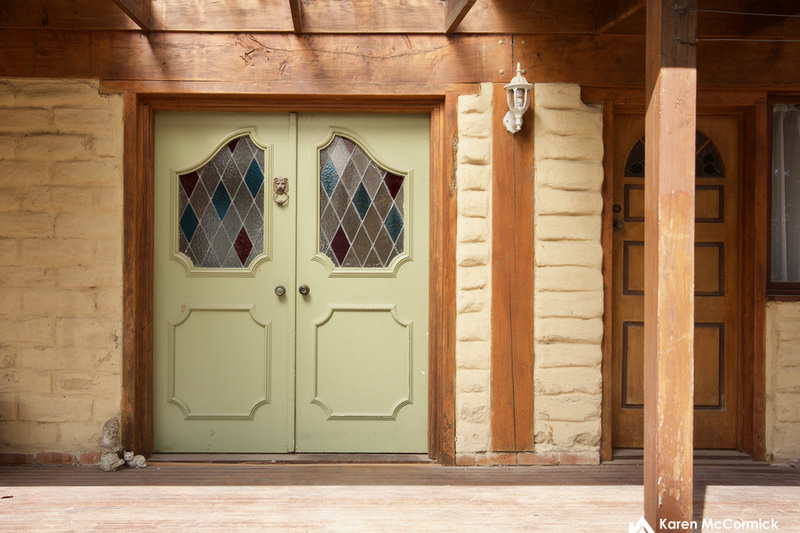 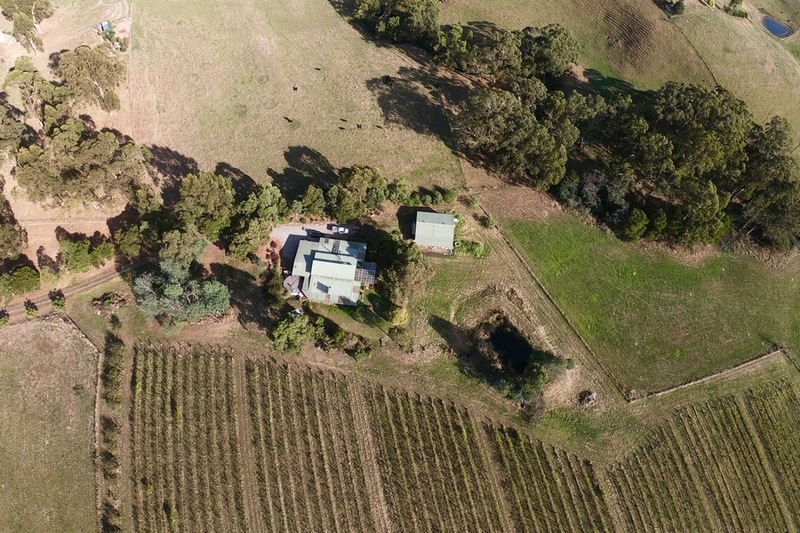 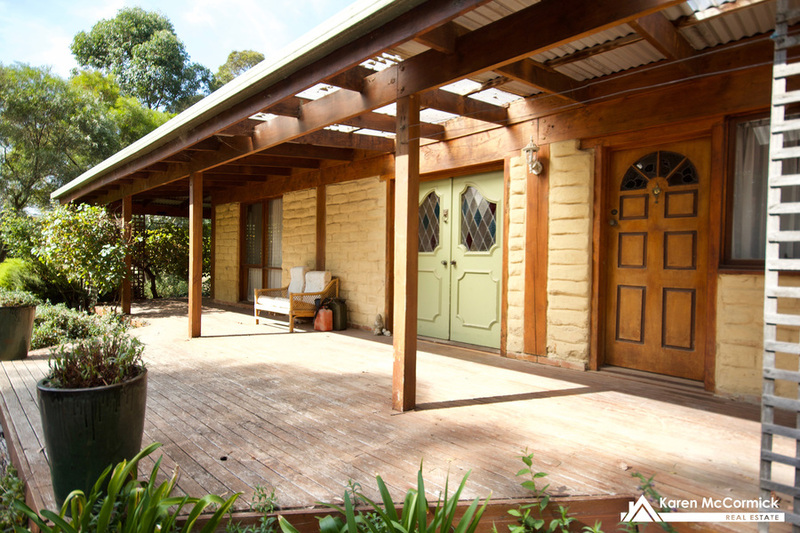 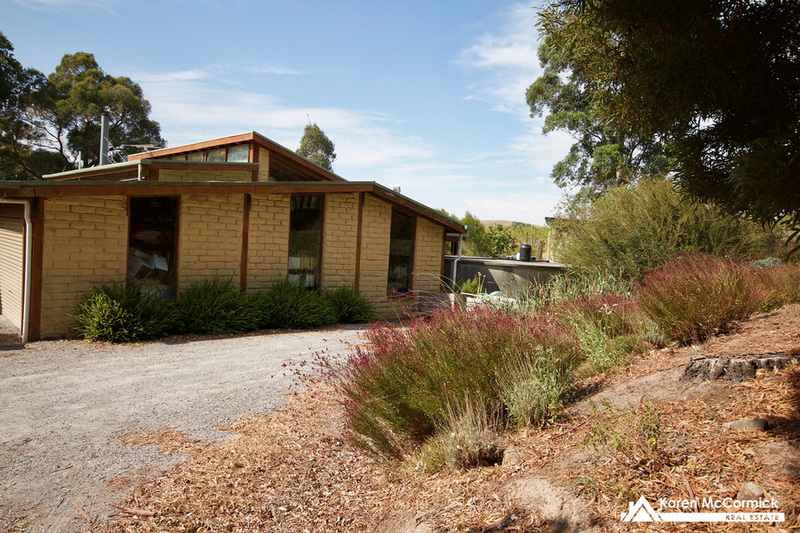 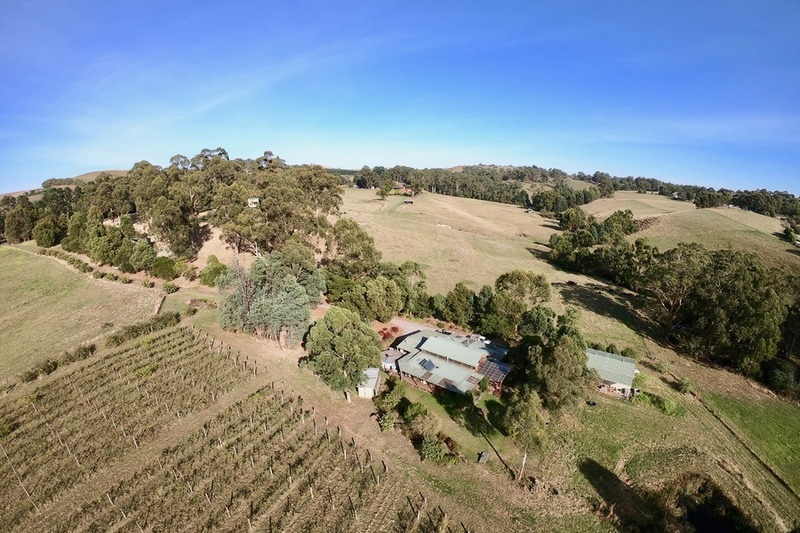 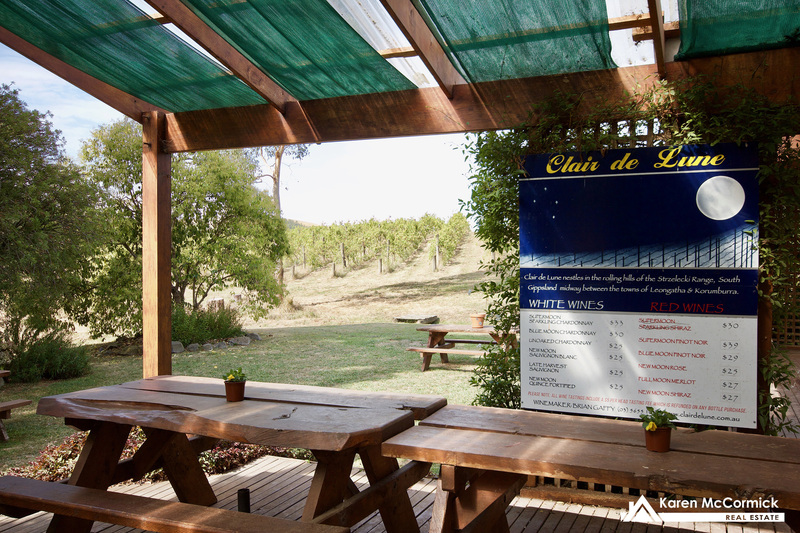 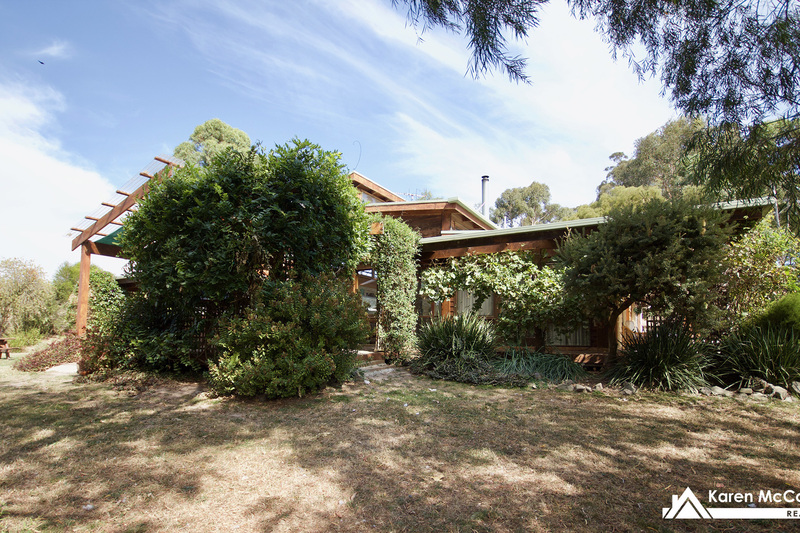 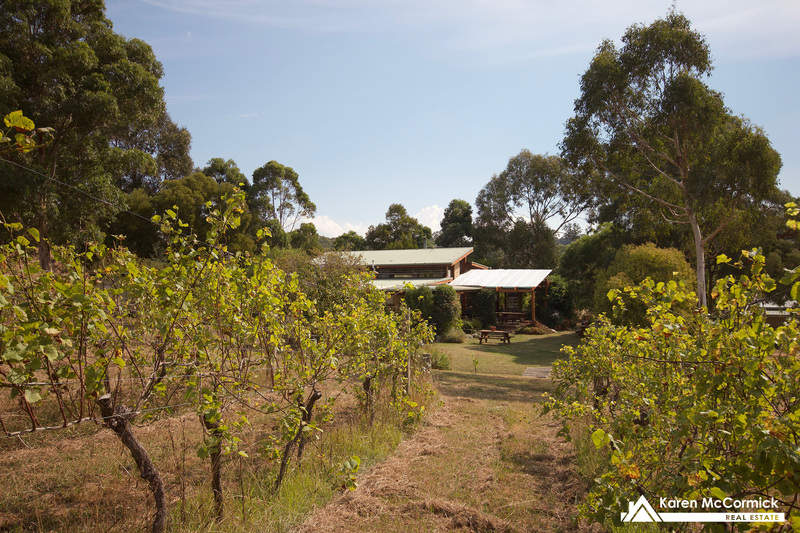 Clair de Lune - A stunning mud brick 3 bedroom home set on approximately 28.5 acres of slightly undulating land. 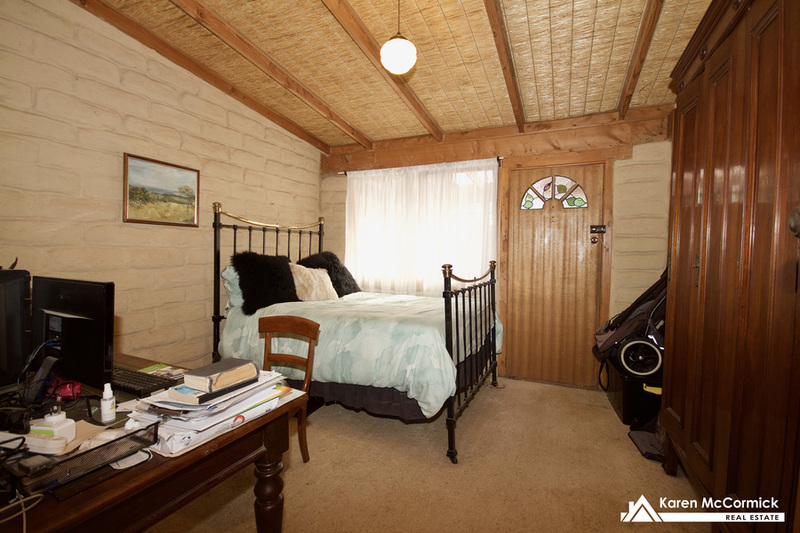 The master bedroom has a 2 way full bathroom with separate toilet. 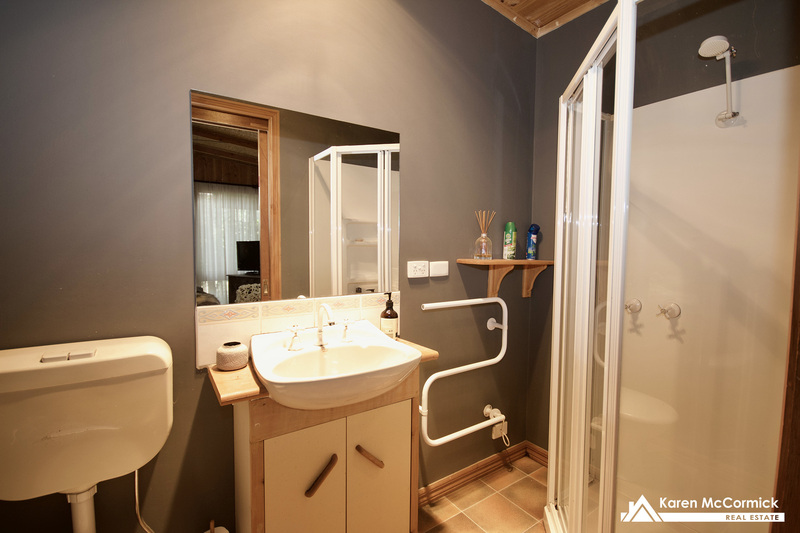 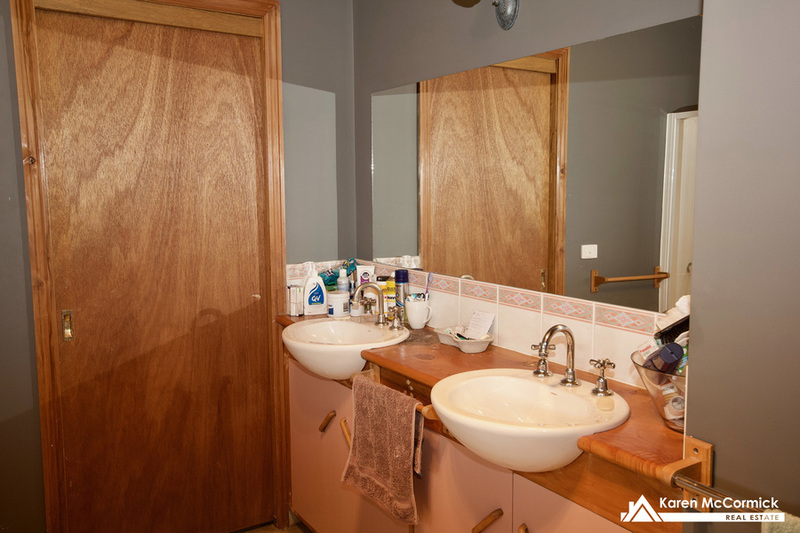 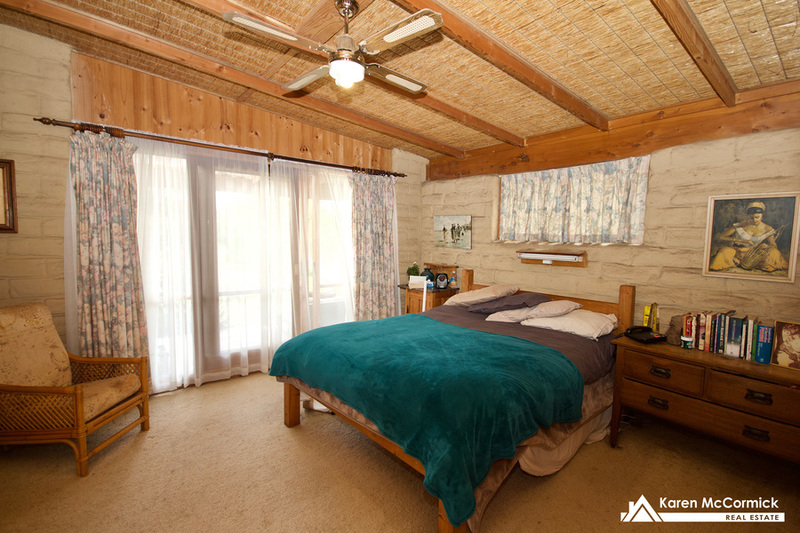 The 2nd bedroom enjoys its own full ensuite also. 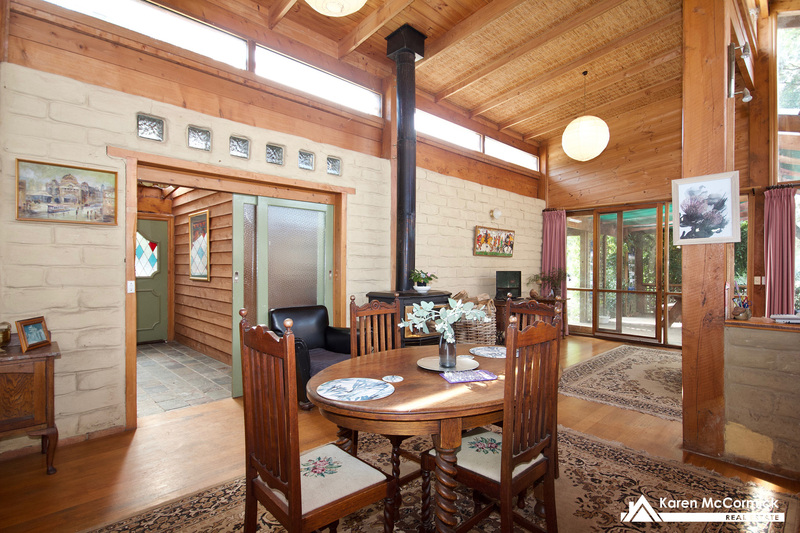 High cathedral ceilings in the open plan spacious living area. 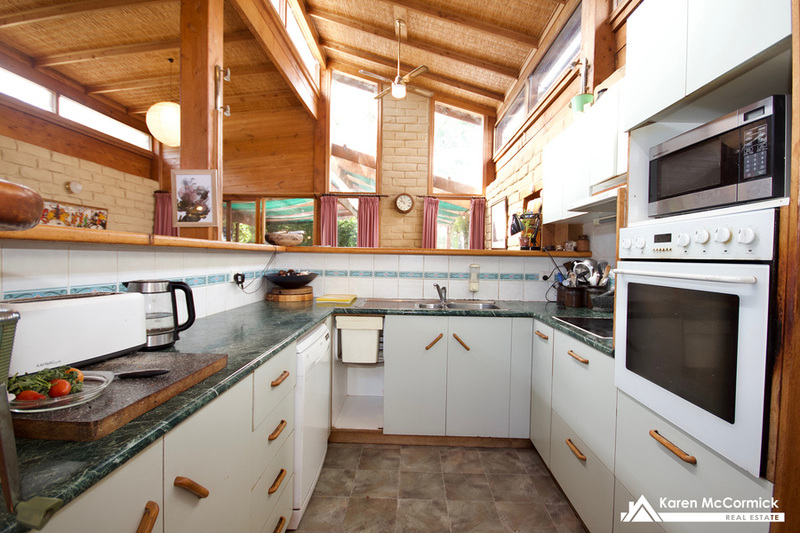 The kitchen at the centre has electric cooling, dw, plenty of bench space and a large walk in pantry. 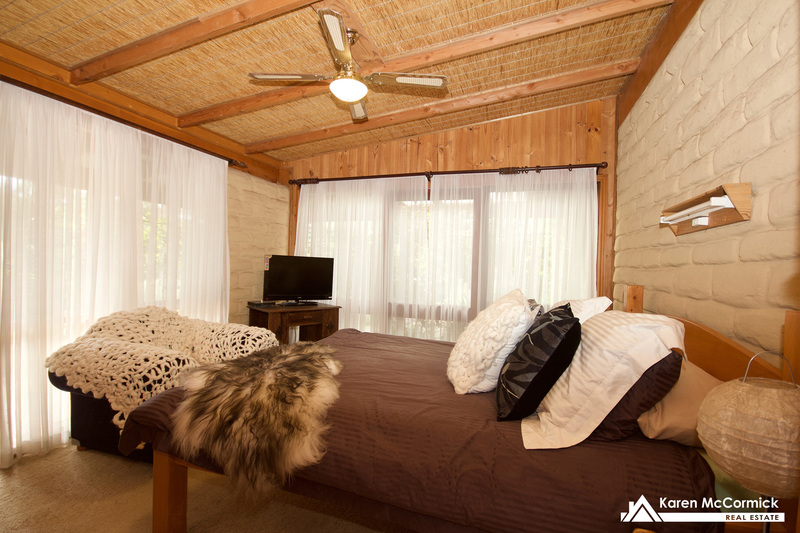 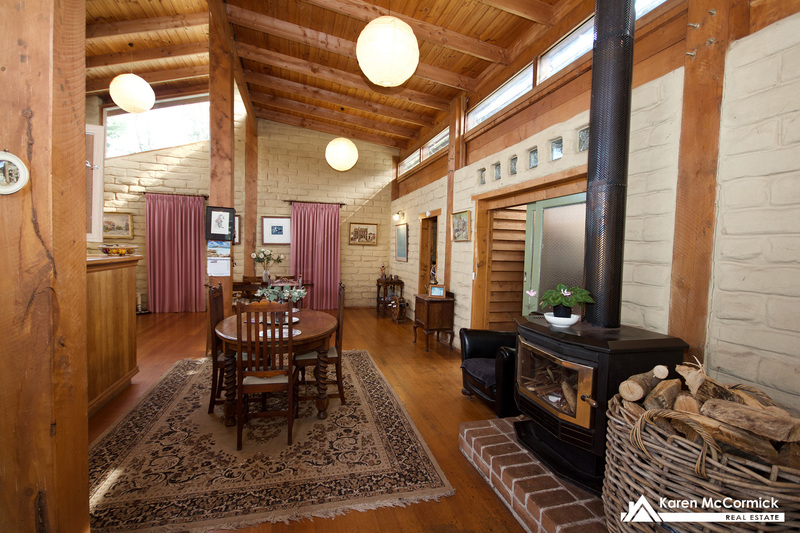 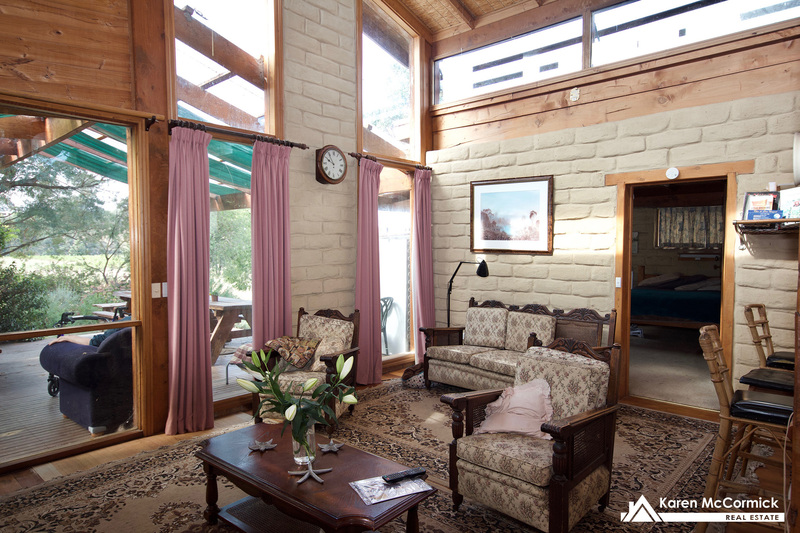 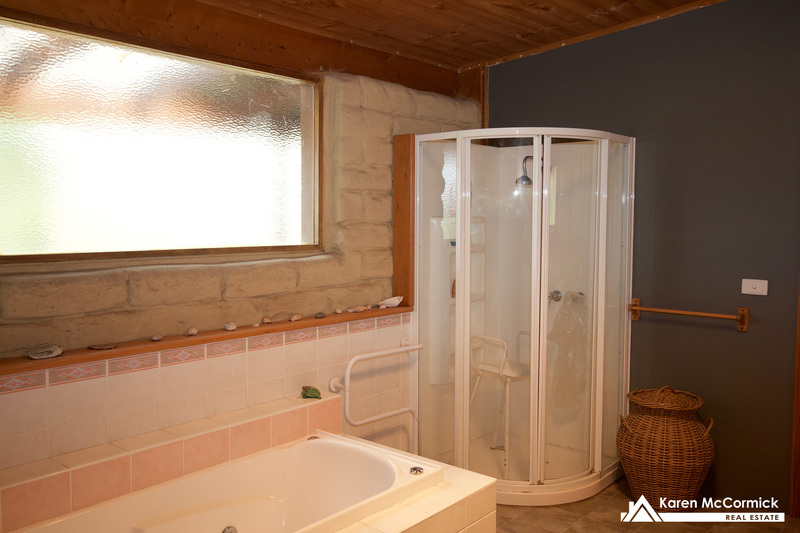 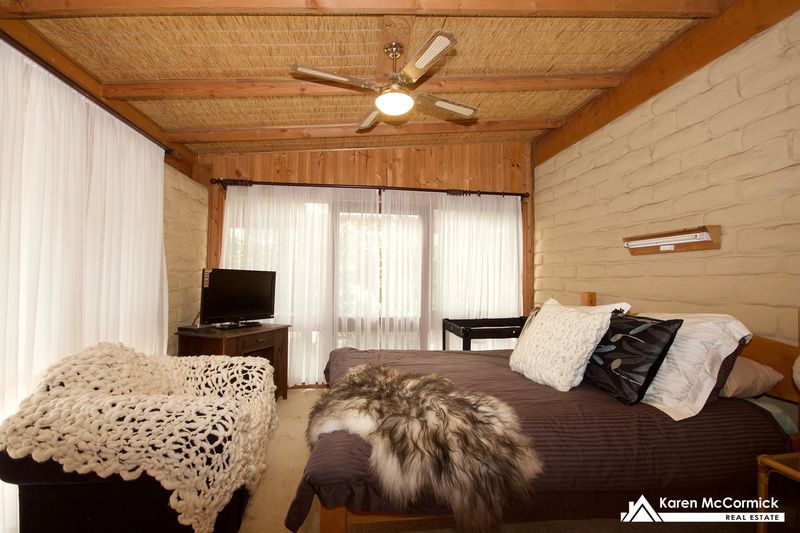 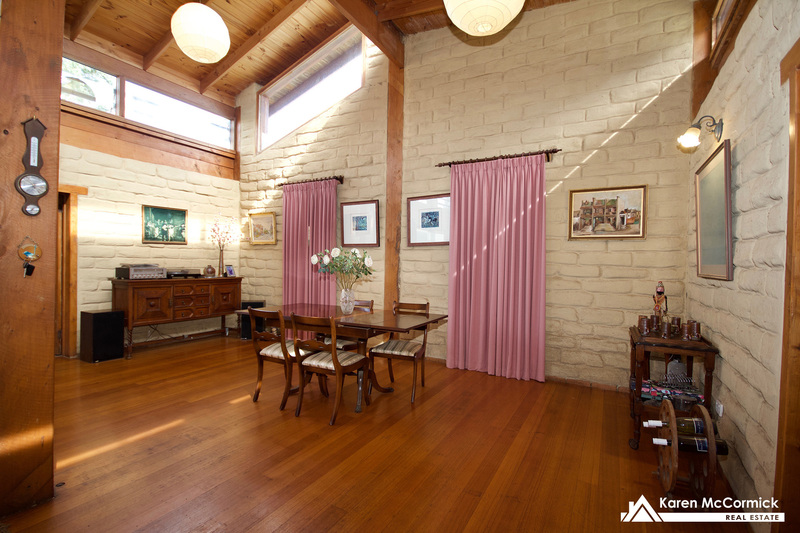 Ceiling fans move the air in the cool mud brick residence during summer and the Coonara style heater warms the area during winter. 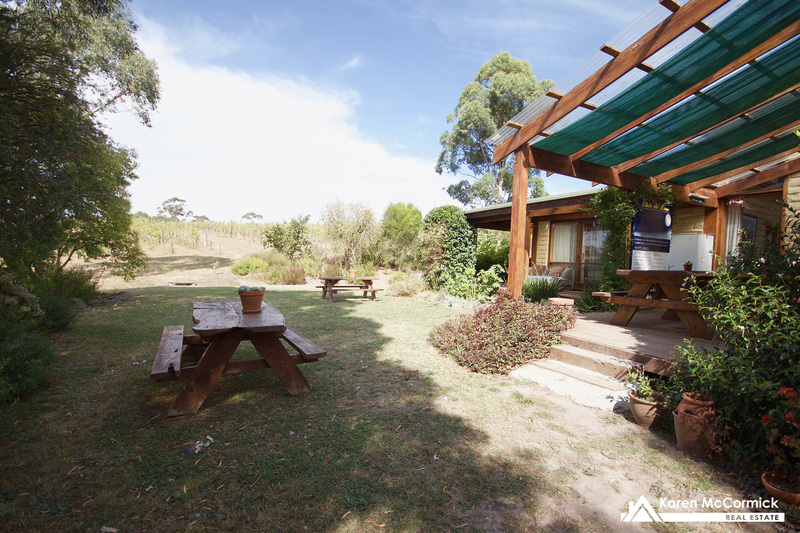 Glass sliding doors open out to the under cover entertaining area that looks across the vineyard. 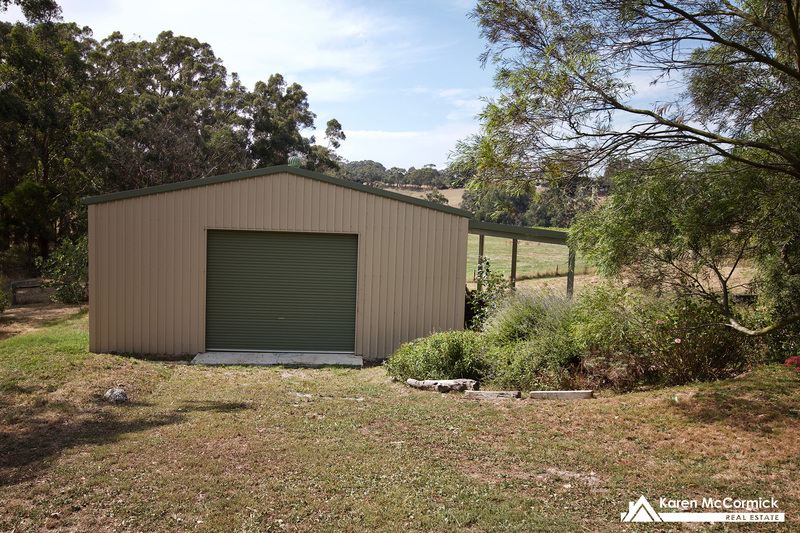 A double garage for your vehicles at the end of the home. 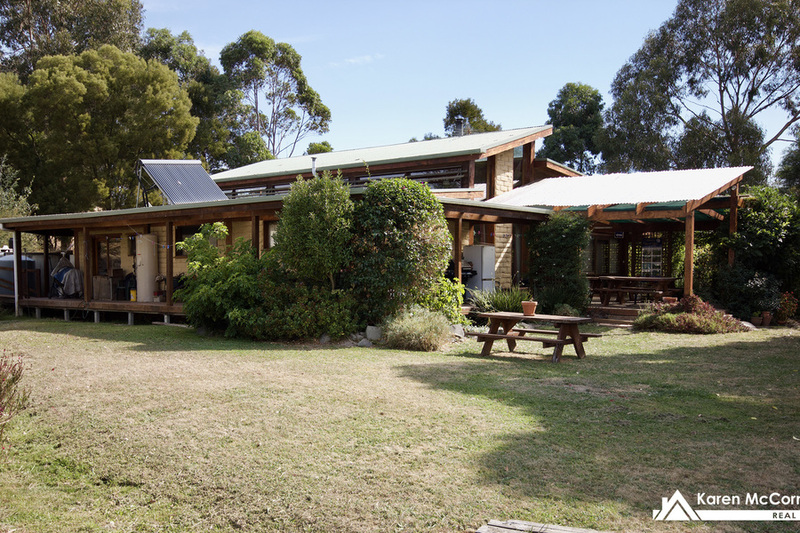 Energy costs are minimised with solar hot water. 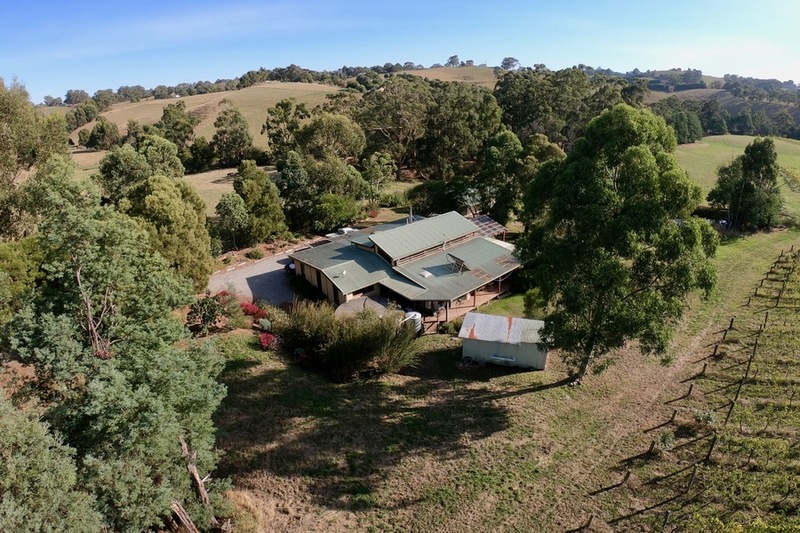 South Gippsland Hwy exposure with thousands of cars passing by each day makes this the perfect position for a small business to work from home. 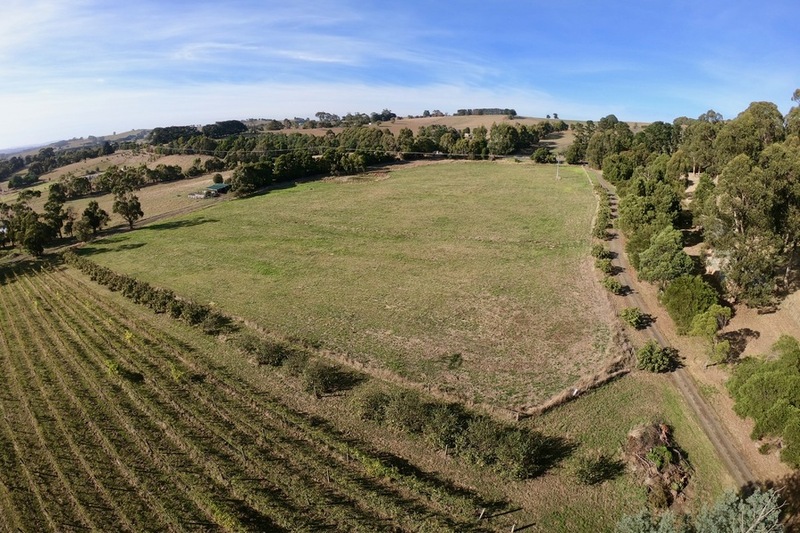 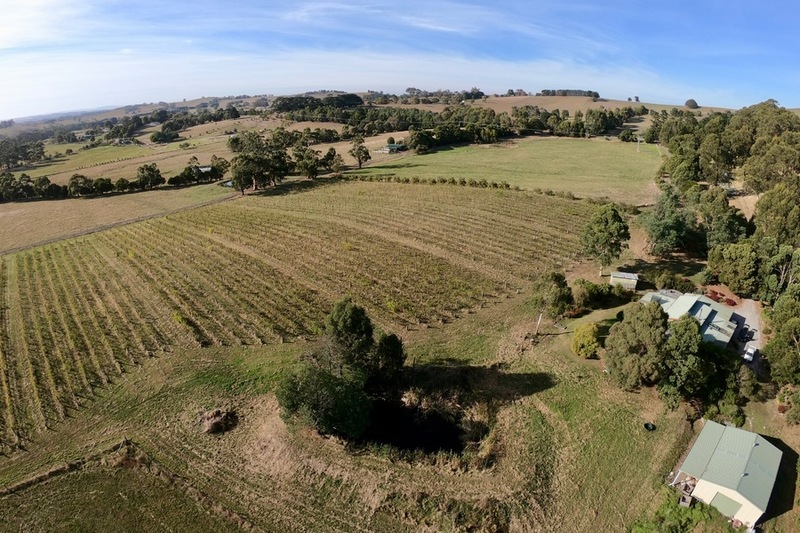 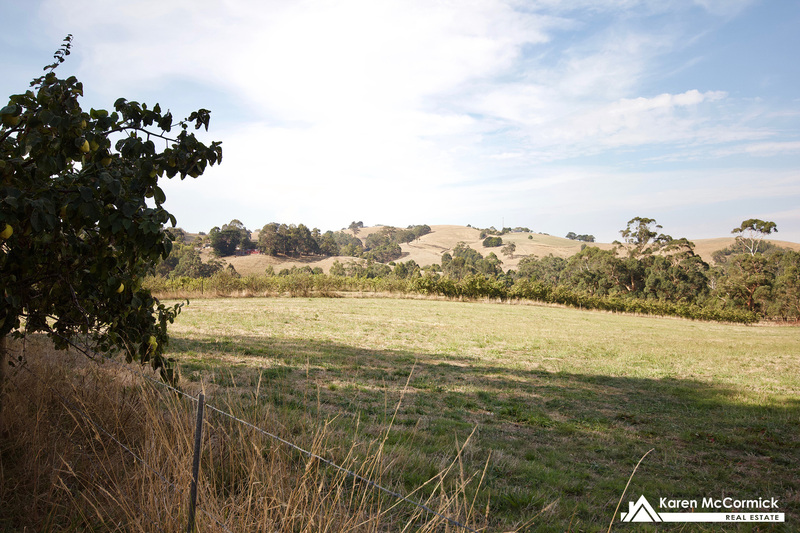 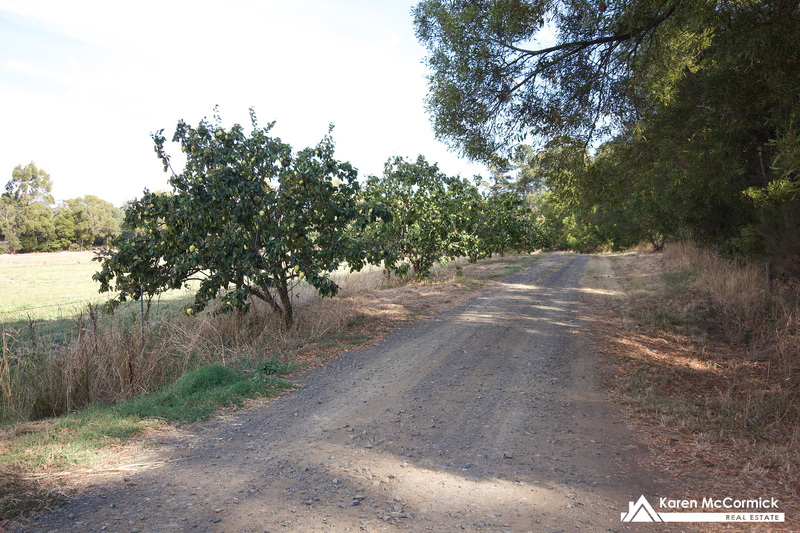 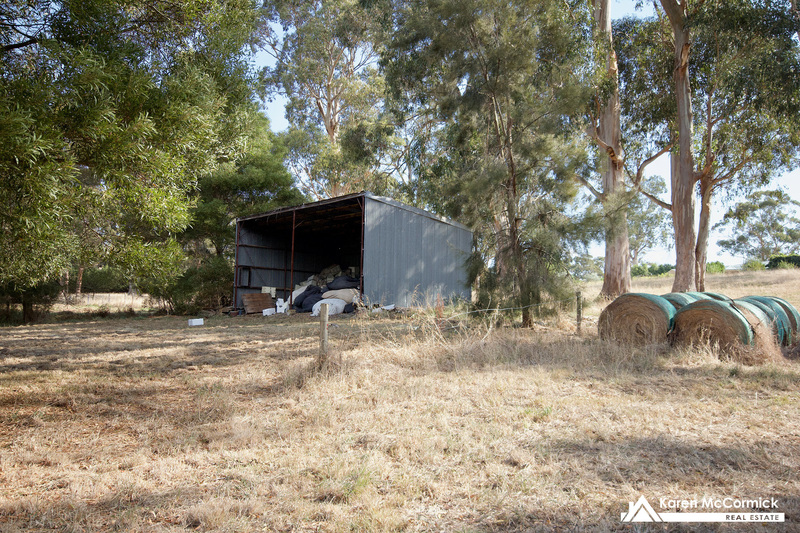 The property has multi use potential with the existing vineyard at the rear of the parcel and the balance of the land approx 17 acres that could be utilised for cattle, horses or other stock. 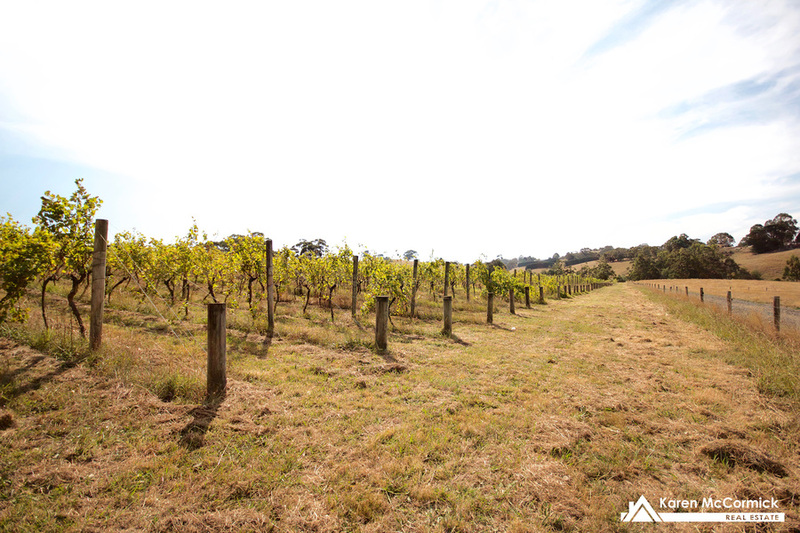 The established vineyard had been set up for low maintenance, high yield production. 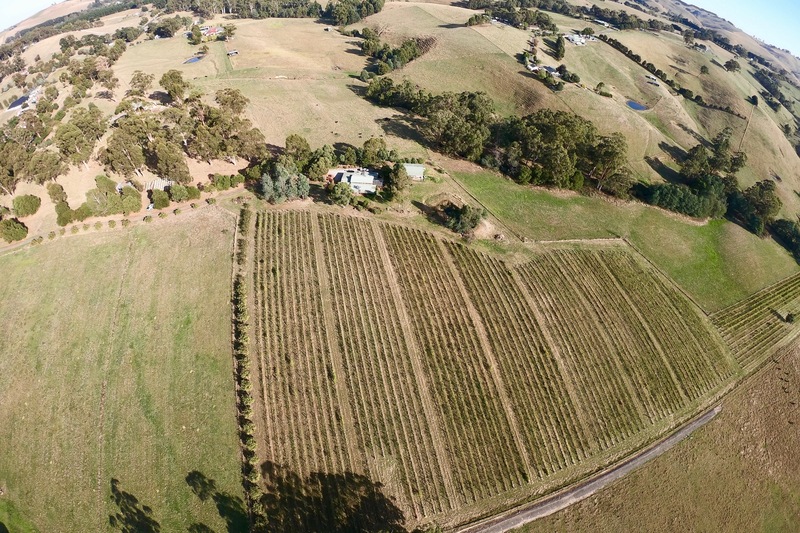 Winner of best pinot noir and several best rose titles. 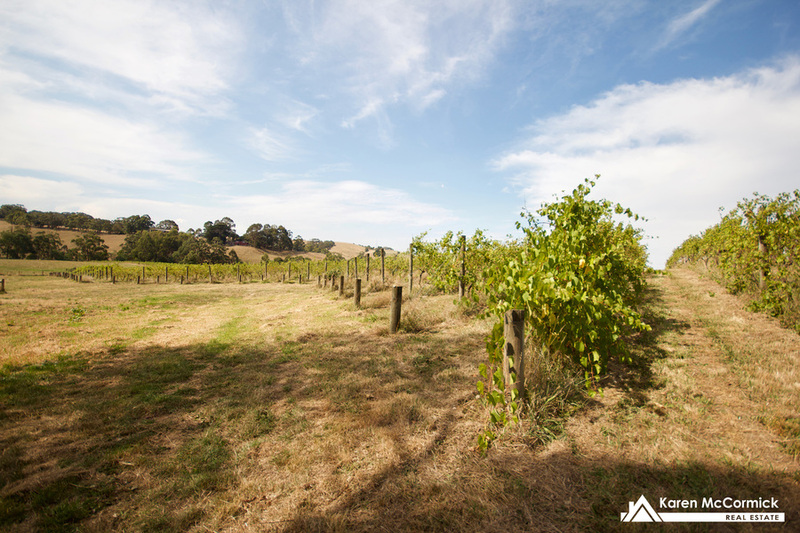 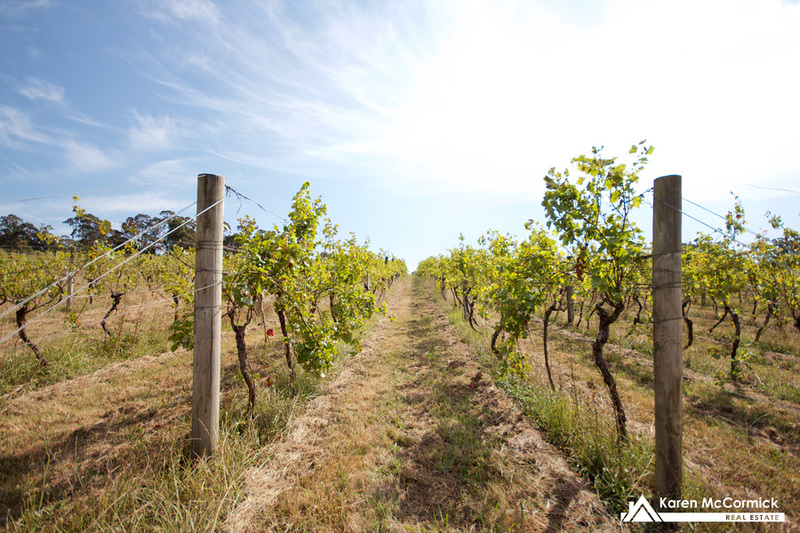 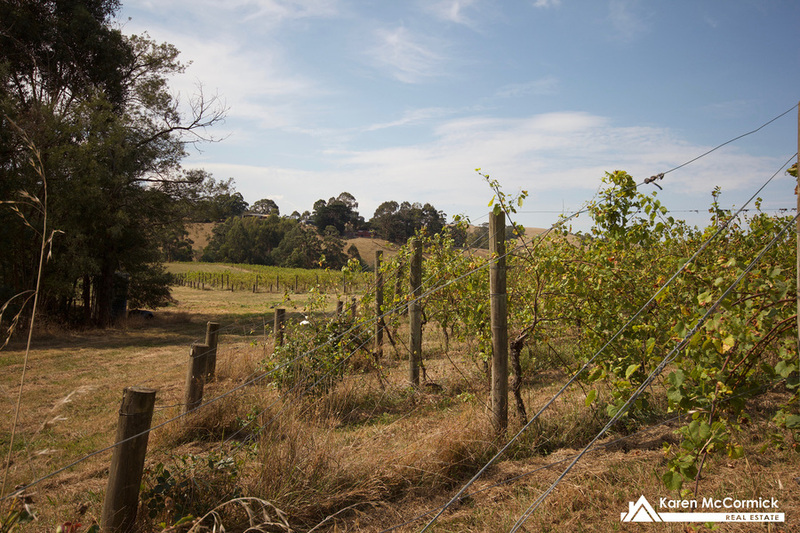 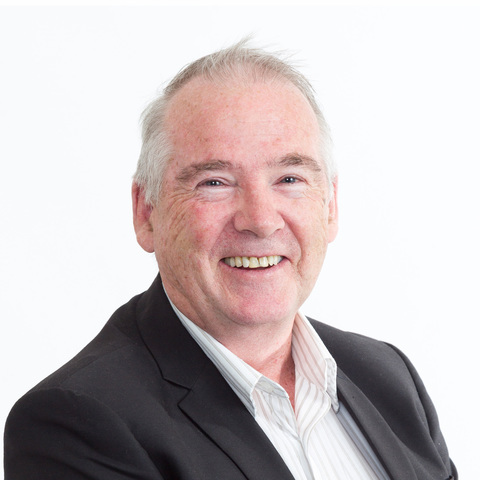 Vines have been set up similar styling to Scott Henry with double production and 3 metre spacing with the flow of the land to allow the natural sunshine to ripen fruit. 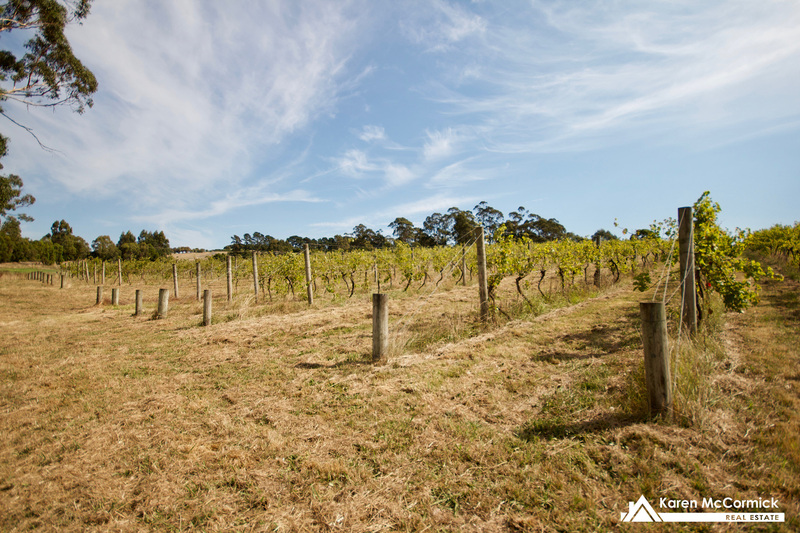 Currently there are pinot noir, shiraz and sav blanc growing. 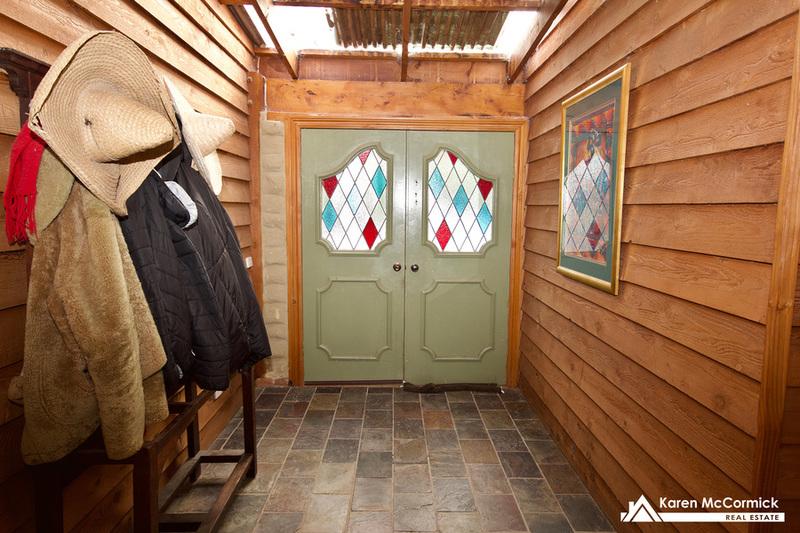 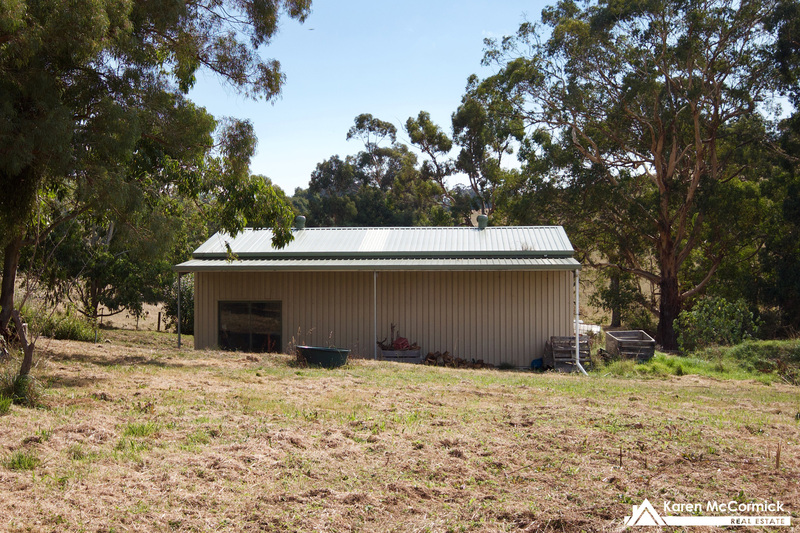 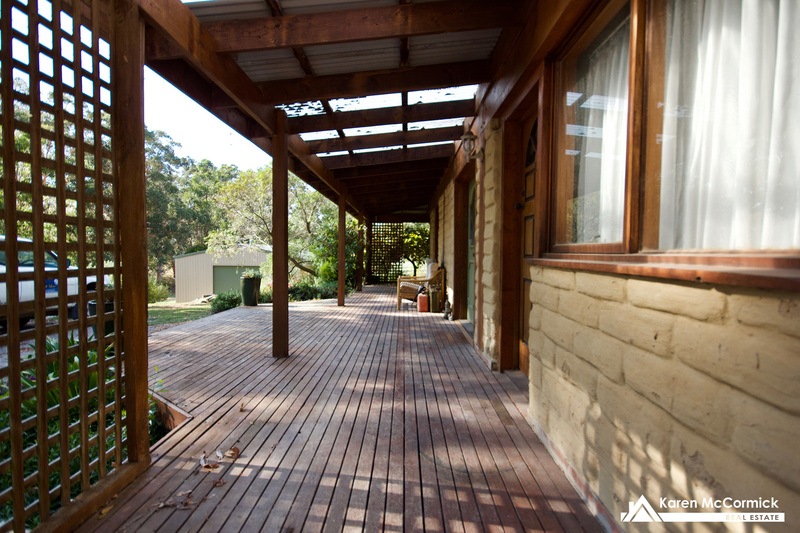 A large colorbond shed with entry points each end plus a verandah off to one side. 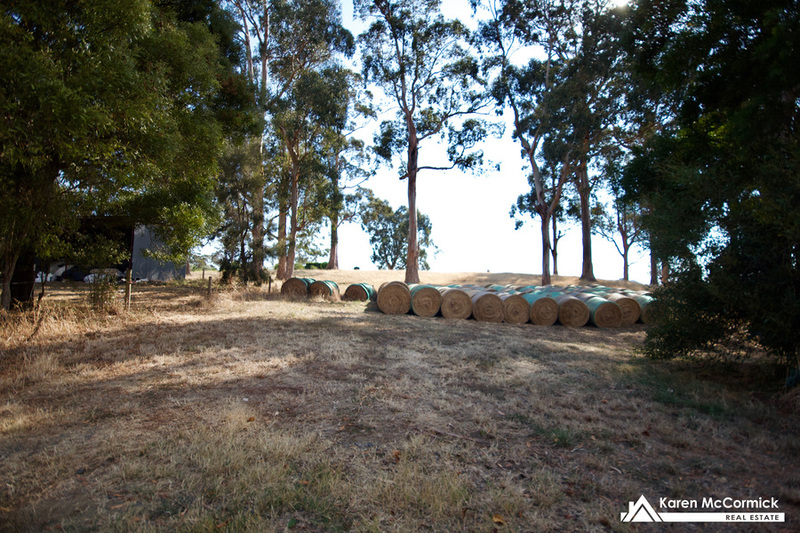 Inclusive are enough nets to cover approx. 90% of the vines, a tractor, Older style Triton ute, 200lt weed sprayer, 500lt fermentation tank, 1 tonne hydraulic press, Italian water press, 6 metre shipping container, slasher and misc other tools. 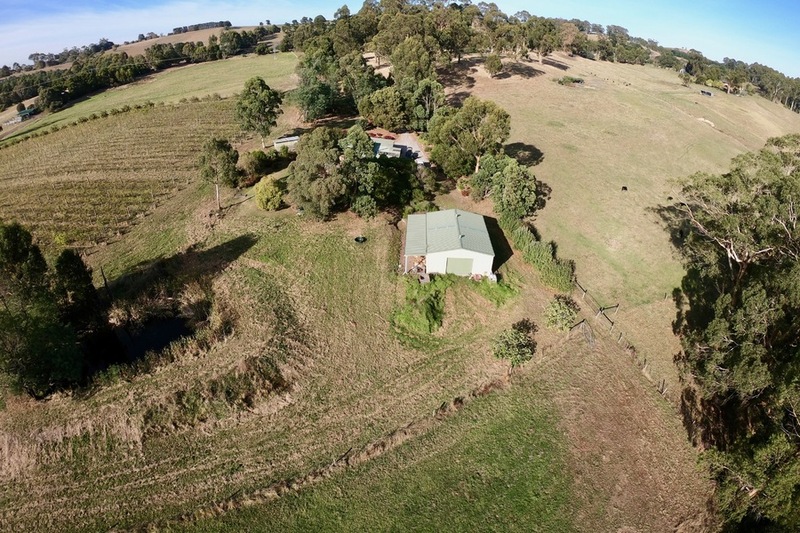 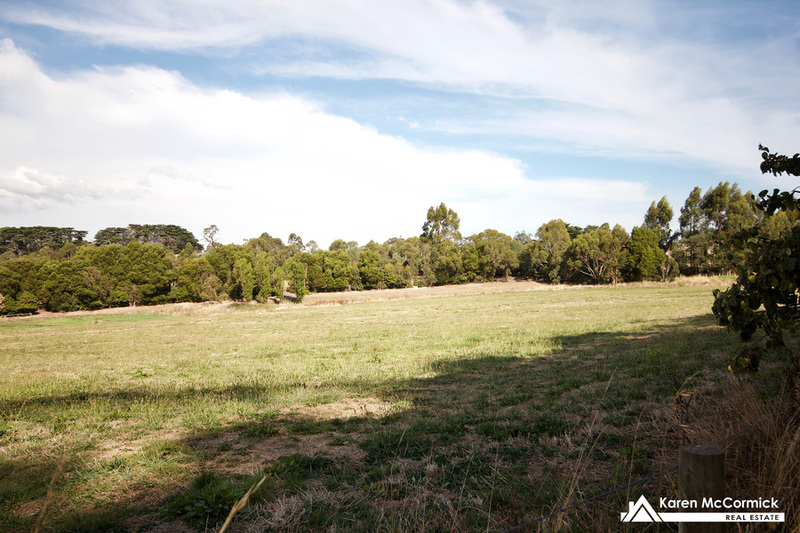 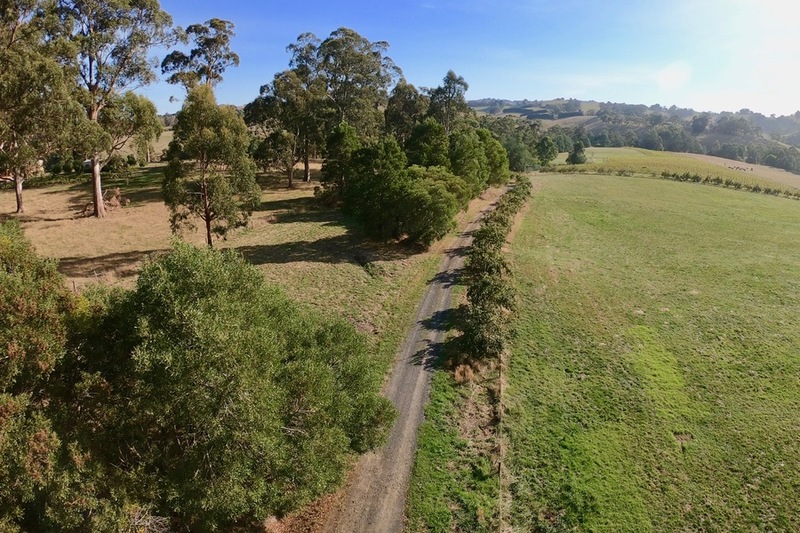 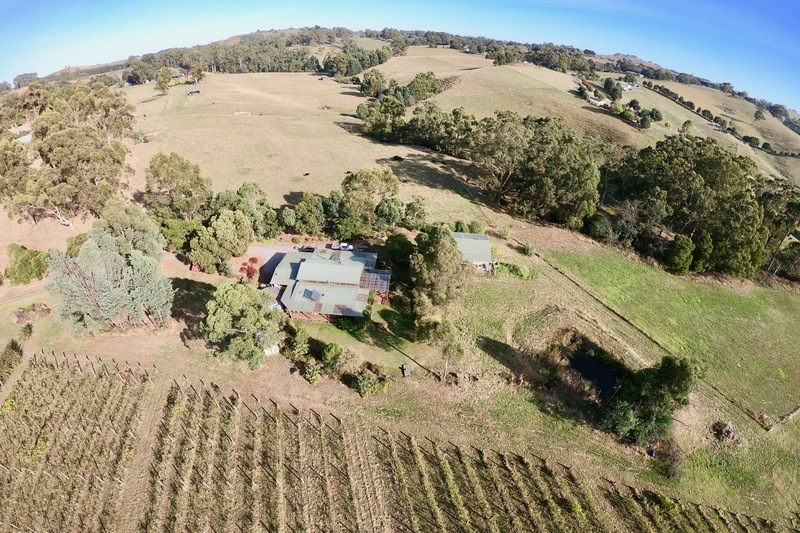 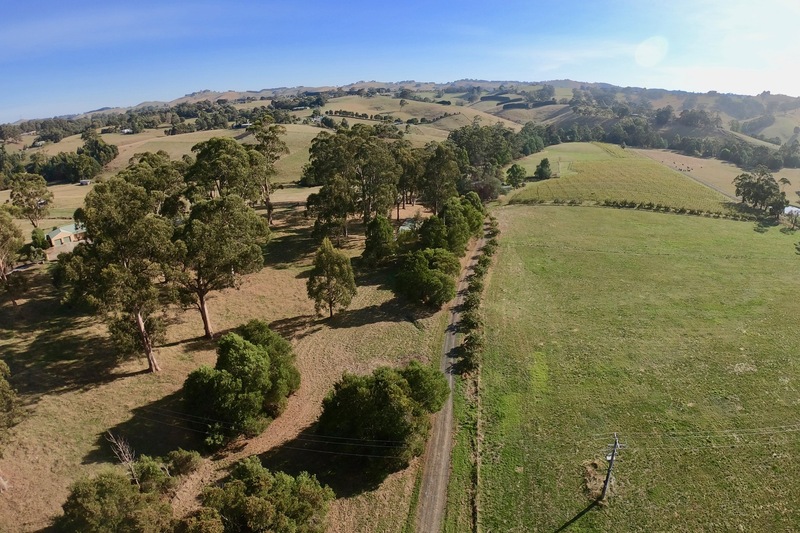 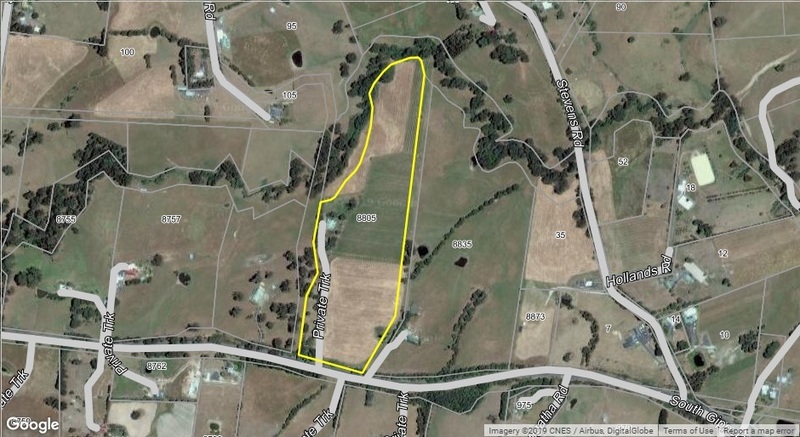 Stockyards at the front of block followed by a 2 bay hay shed further down the drive. 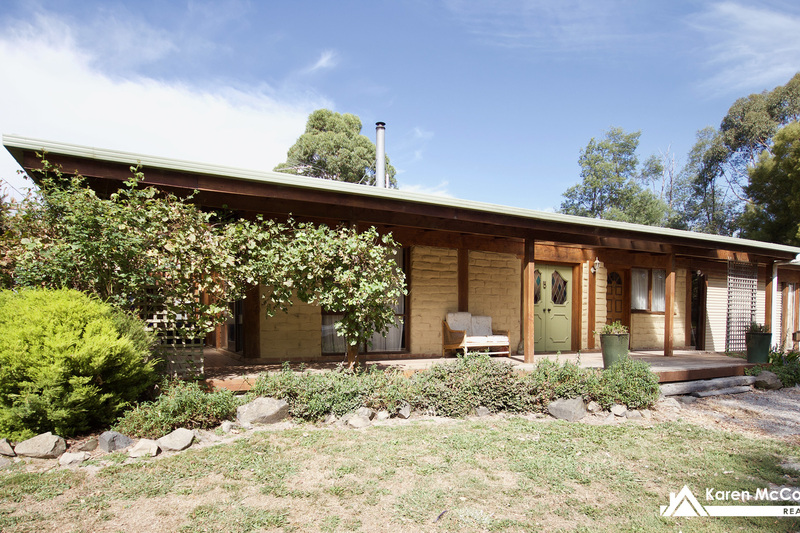 This is certainly a lifestyle property with potential for extra income.